Inky Fool: What the Dickens? S was a real name, though, it stood (appropriately) for Stearns, a name by which he briefly tried to be known as a student: i.e. T. Stearns Eliot. This is, incidentally, the reason that it's the Love Song of J. Alfred Prufrock. The debilitating fear of the cloacal also produced, through inversion, the completely superfluous reference to the Turdus aonalaschkae pallasii, in the author's notes on The Waste Land. Meanwhile the phrase What the Dickens has nothing whatsoever to do with Charles Dickens (unless Shakespeare was blessed with the gift of prognostication). 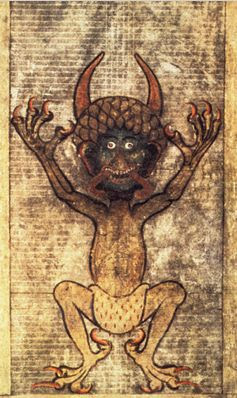 It pops up in The Merry Wives of Windsor and is derived (like almost every other renaissance expletive) from Devil. Just a little follow-up to my post on the grammar of Dickens and Eliot.